?Material? 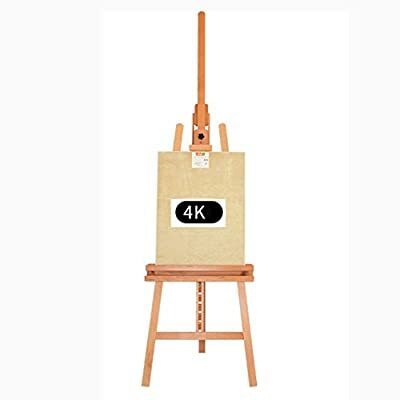 : Beech ?Wooden Art Easel Size? : approx. 170cm (H) ?Portability? ?Easy to dismantle and assemble. Convenient to carry and use. ?Design? ?High flexible Spring buckle to hold the canvas tight , adjustable wide high-load drawing article to support drawing board. Retractable bracket. Meet the Height and Angle adjustment needs. ?Multipurpose? ?A perfect field easel for indoor or outdoor variety of art, desktop displays, writing boards, menus and poster boards.